Christmas is around the corner, and companies are gearing up for the festive season. Employees are going on vacation leave to take a break, recharge and revitalise for the upcoming new year. Express your appreciation to your employees. This is seemingly common sense, but recent employee surveys show that most employers do not express their appreciation for work well done. A simple “thank you” or “great job” works wonders when leaders praise their team members, and creates strong buy-in for future projects. Do not hesitate to praise your team generously, and be sure to express your gratitude with sincerity. Employees are not looking for a thank-you every time a task is completed, but verbal appreciation or a thank-you note will make them feel remembered and happy this festive season. Food brings families and friends together, so why not employees? Beyond the standard company annual dinner, leaders should make a special effort to treat their teams to a nice meal on a smaller scale. The meal does not have to be an elaborate 10-course dinner — a simple pizza lunch might do the job. It is pivotal for employers to host such meals in small, intimate settings to maximise interaction. Conversation topics can range across various topics, but the general rule of thumb is to avoid talking about work-related issues and place the focus on getting to know your employees. During the meal, ensure that you, as the leader, talk to everyone at the table. While it is tempting to talk to one or two employees seated closer to you, you don’t want other employees to feel slighted. The worst scenario would be to destroy your team’s enthusiasm. If they were excited and elated over the thank-you meal initially, they should not feel left out and isolated after it. Remember the time your teacher gave you a gold star for an exam well done, or your parents bought you that gift you coveted for behaving well? You can inspire such happiness and joy in your employees through awards as well. These awards must be clear in their objective, for example, Best Salesman of the Year or Most Enthusiastic Team Member, so employees feel they have contributed in particular ways. Once again, leaders need to shift their thinking away from the paradigm that awards must be monetary. A laminated certificate printed on premium paper would do the job, especially when the recipient can display it prominently at his desk. Creative employers can also liven up the mood through quirky awards, such as Cookie Monster — For Eating the Most Cookies at the Pantry, to inject a spirit of fun during this festive season. Ensure that everyone in the team has an award for a positive contribution to avoid categorising staff as “winners” and “losers”. Sometimes the best-received gifts are those with an element of surprise. It could be a small token of appreciation, but if it is presented to an unsuspecting employee, it will mean so much more to him. 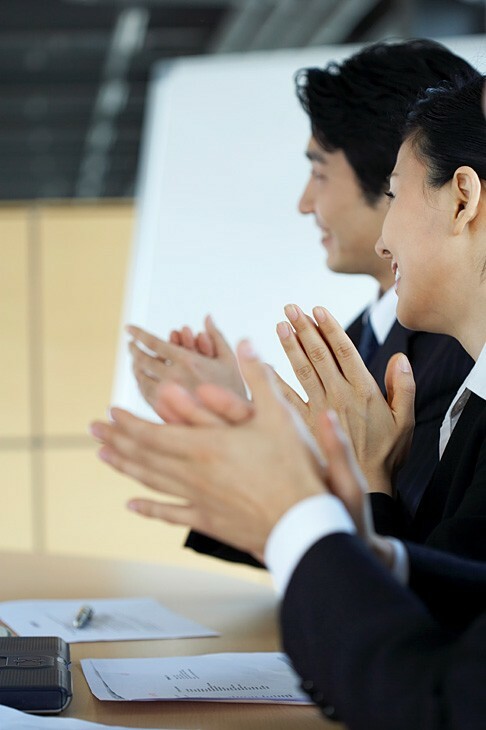 Other ways employers and leaders can pleasantly surprise their staff include swopping a monthly meeting for a celebratory lunch, or arranging for the whole department to applaud a well-respected employee when he arrives at the office. With these XMAS tips, employers and leaders now have several ways to make their employees merry this festive season.